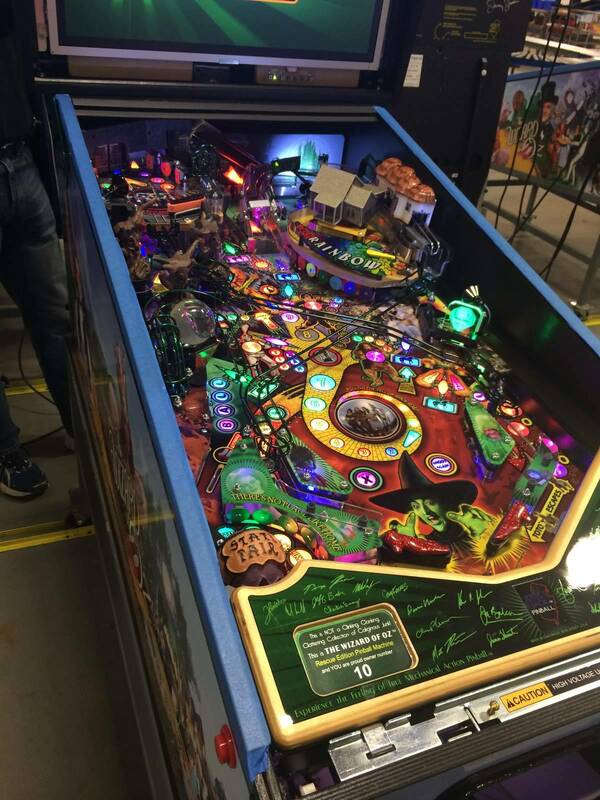 I would like to let everyone know Jack manufactured and donated 22 Special Woz Pinball machines to be sold and the proceeds distributed to the customers who lost their money when Bellhill liquidated aka Bumper Action. Who is selling the machines? Great to hear!! Nice job Jack!! The side of Jack many who know him well frequently see... He, simply, will always make things right. Being a distributor aside, I've know this man for nearly 15 years and seen similar things on obviously a smaller scale both personally and being in business with him. Thanks for posting some nice news. Fantastic Jack!!! Way to go. Jack's a true ambassador for this hobby. He didn't have to do that and never said anything about it. It just shows how classy Jack is and how much he cares. Thumbs WAY up for JJP! That's why I purchased my MMRLE through Jack. Just a great guy to deal with. While JJP has made a few missteps over the years, congratulations Jack. Your sacrifice has not gone unnoticed. Plenty of Pinsiders who would jump at anything negative, fewer who are supportive. Tough business Jack. Again, job well done! Wait, Aren't these the 22 that were paid for? Paid to bumper amusements. Money never got to JJP. Bumper paid customer deposits to JJP. This added up to be the total for 22 machines that were sent over. You could argue that nothing was "donated". A great over all result in any case. Congrats Aussies!! Great work JJP!! For those buying one, enjoy a fantastic game. For those getting money back, I'll be rooting for you to recover your funds. Maybe the shipping cost was donated. Jack does whatever he can to take care of people - I've see it time and time again. I hope JJP can now ramp up production & be past the early challenges they have faced. I'm happy for you Aussies! I believe so, but Jack should get credit for wading through a mess that he didn't create, and negotiating a solution with the harmed buyers in Australia.
" These are not the droids your looking for"
Take it for what it is, a way for people to get something back that lost everything. A way for a wrong to be made right. I would also like to thank those people who made Donations. Awesome to hear! Stoked to read such positivity, as seems like negitivity is the norm here! I hope everyone gets their cash and others enjoy a great game.. Great JOB JJ! Thanks for posting its nice to get some good news mixed in every now and then! Awesome that the machines finally showed up ... I've followed it since day one, and one of my kiwi mates lost his coin with the Bumper F**kfards. But to say JJP donated 22 machines is wrong. The 22 machines were covered by the $150,000 (ish) deposit paid to JJP by Bumper Amusements a long time ago. Jack is just delivering what was paid for. Nice spin though. More spin than Shane Warne on a dry Gabba pitch. Either way, the aussies (and kiwi) are seeing a little closure at the end of a disastrous chain of events, instigated by a bunch of thieving con men and crooks.